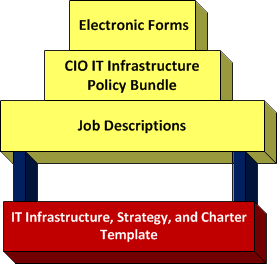 IT Governance Infrastructure and Architecture - The latest version of the IT Governance Infrastructure, Strategy, and Charter Template now includes full job descriptions for the Chief Information Officer, Chief Information Officer (small enterprise), Chief Digital Officer and the Digital Brand Manager. In addition, it is provided in three formats: MS WORD, pdf, and ePub (eReader). 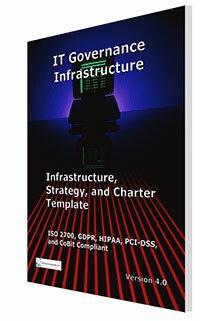 IT Infrastructure Architecture. This is driven by the necessity to support customer service, improved productivity, enterprise reputation and positive enterprise earnings, as well as meeting all mandated compliance requirements.